Here’s some pictures from last weekend’s soccer football game – Freiburg vs. Nürnberg! They’re pretty big rivals! 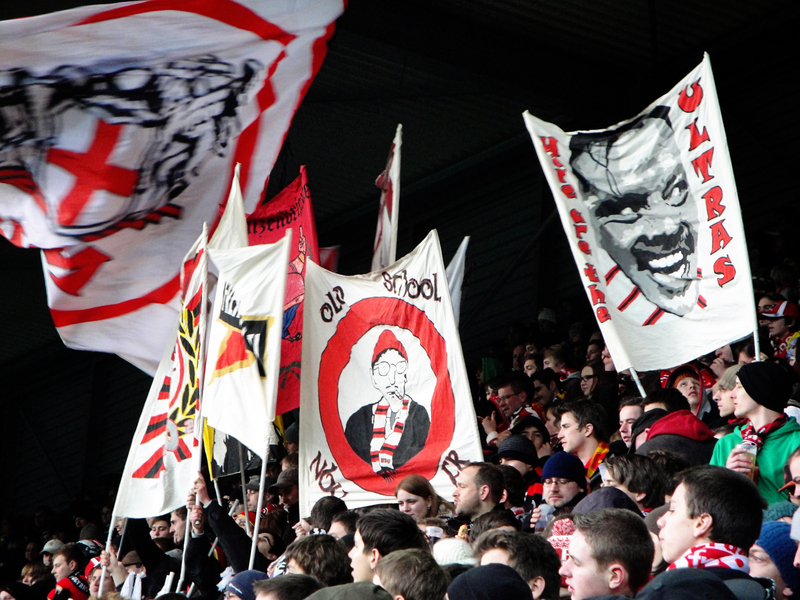 It’s Freiburg in the red, Nürnberg in the white…. And the singing and chanting and clapping never stopped! This guy with the megaphone directed the crowd’s songs and chants…. And there was a ton of security! We ended up tying 1-1. It was a such a great game and experience! And here’s a quick vid of some of the singing – it was awesome!